November has arrived, it was a cold and wet day here yesterday but what else can you expect for the time of year. 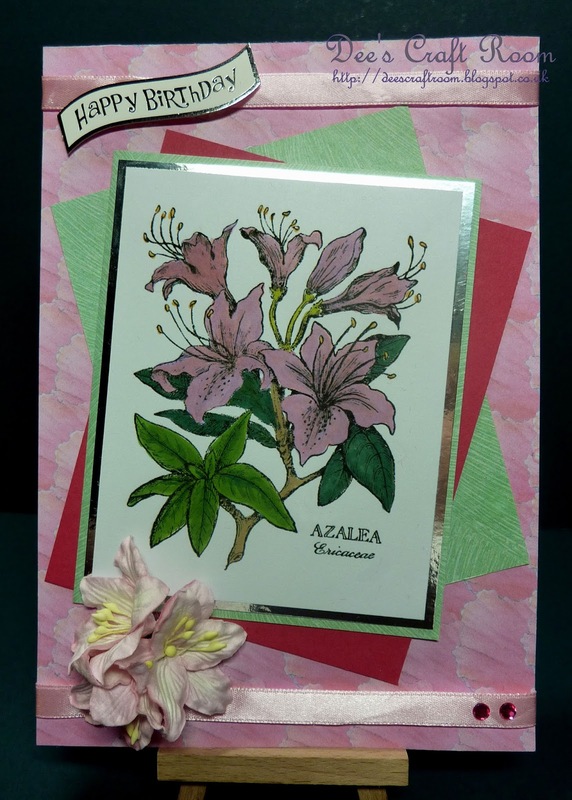 I am back today with another 'Pink' card, it is one of my Crafty Boots Challenges cards in support of Breast Cancer Awareness. This card features another of my vintage rubber stamps, I have quite an impressive collection of stamps from that era. 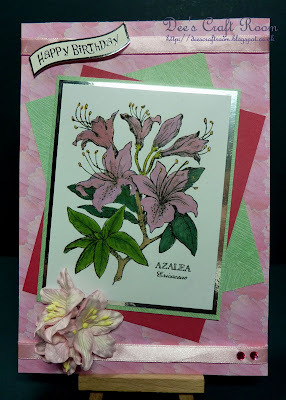 This stamp is from PSX - The Personnal Stamp Exchange, it is one of their floral collection. 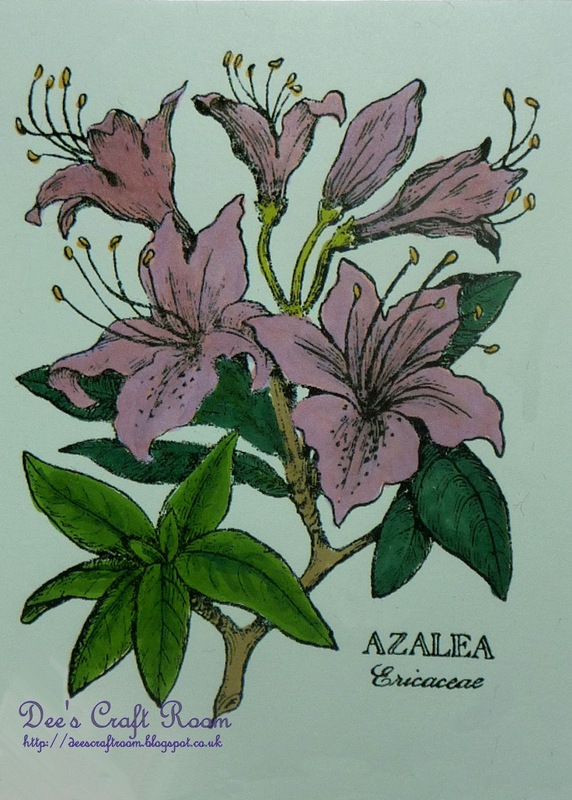 This one is Azalea. I coloured the image with Promarkers, then mounted on silver mirri ans some green card. The petal backing paper is from a House Mouse CD and the pink flowers are from Wild Orchid Crafts. The sentiment, ribbon and gems are from my stash. There is still time for you to enter your pink projects into this Crafty Boots Challenge. Many thanks Carol. I have had these floral stamps from PSX at least 20 years (probably longer) and they never get old. I have half a dozen of them but they made dozens, wish I had bought more. Oh I love this card! I had to save this one. Love the flowers and the colors. Great card for a worthy cause. Ah, that would be your affinity with flowers. I really think you would like this range of rubber stamps, it is so sad that PSX have gone out of business. You can get them on ebay but their rarity makes them very expensive. I recently made the mistake of buying one second hand, its condition was so bad I cannot use it.